McCarthy-Wolves vs. Kean-Blackburn - Which Ideology Will Pay Off? You are here: Home » COVER STORY » McCarthy-Wolves vs. Kean-Blackburn – Which Ideology Will Pay Off? McCarthy-Wolves vs. Kean-Blackburn – Which Ideology Will Pay Off? ‘Premier League Compass’ is a regular column on TheHardTackle that throws a magnifying glass over clubs other than the (made up) ‘super six’. In this edition, the Compass points to the Midlands where Steve Morgan has taken a huge gamble at Wolves. Only two points separate the bottom five in the Premier League. And till a few weeks back, the managerial situation at all of these five clubs was similar. Managers had either been found out and become tactically inept, like Neil Warnock at QPR, Kean at Blackburn or McCarthy at Wolves, or were too keen on playing a brand of football with the wrong set of players at the wrong club, like Coyle at Bolton and Martinez at Wigan. There was little to suggest that the managers would be able to turn things around. Shock results, like Blackburnai??i? ?s at Anfield and Old Trafford,Ai? ?were a mere water drop of hope in an unending desert, rather than a sea of sustained improvement. So, club owners and the management board could take one of two paths. They could either stick to the same manager hoping that results will change, taking into consideration a change at this time of the year would be too risky, or they could freshen things up after being convinced that results wouldnai??i? ?t change under the current manager. The boards of two clubs took the latter path and made their moves. First, Neil Warnock was shown the door after a string of poor results at Loftus Road and was replaced by an experienced head in the form of Mark Hughes. And now, Mick McCarthy has been relieved of his duties after picking up only one win in the last 13 matches and following a disgraceful performance in the ai?? ?Black Country Derbyai??i?? at the weekend. Steve Keanai??i? ?s Blackburn started the season with a similar record of one win in 12 matches, but the Venky’s have stuck by their man amid mass protests and incredibly vociferous displays of anger towards the manager. Blackburn currently sit level on points with Wolves, but one place above them and just outside the relegation zone, on the basis of their superior goal difference. So, where does the difference lie? The sacked manager was at his club for over five fairly successful seasons and the surviving manager has been at his club for little over one. The sacked managerai??i? ?s team was thrashed 1-5 at the weekend, while the surviving managerai??i? ?s team was hammered 7-1 the weekend before. 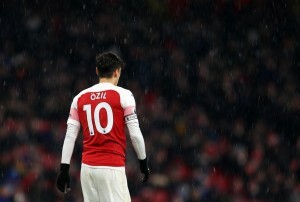 Perhaps, the difference solely lies in the thought process of the owners, their understanding of the game and the extent to which they are connected to the club. Steve Morgan could hardly accept the way Wolverhampton Wanderers were playing, let alone accept that the same style of football wasnai??i? ?t even yielding him positive results. He is a fanatical football fan who understands the game enough to make crucial and harsh decisions. Of course, the down side of being fanatical is that you ignore protocol and burst into the dressing roomAi? ?after a defeat. Another one is that you may make knee-jerk decisions that could ultimately lead to the downfall of the club. However, the Venky’s popping up in the dressing room ai??i?? or well, anywhere around Ewood Park ai??i?? is highly improbable. The Venky’s have been using Blackburn Rovers as an advertising vehicle for their own firm. After failing to live up to their promises, they have barely been active in the football matters at the club, let alone be pro-active. Had they been in touch with Blackburnai??i? ?s ethos, they wouldai??i? ?ve realized that Steve Kean would take their club nowhere and that in a small town of around 105,000, the jeers they hear on television were indeed from the majority. They wouldai??i? ?ve also realized that taking a team, which is embroiled in desperate fears of relegation, to their home country for a friendly match as a publicity stunt was never going to be a wise decision for the club. 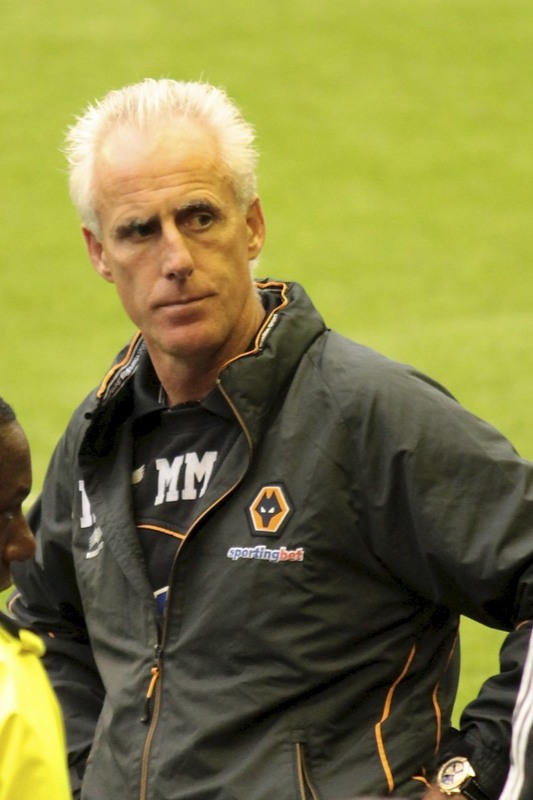 Mick McCarthy deserved the sack for Wolves’ current form, but not for how he had served the club. He certainly did not deserve an unceremonious exit, wherein the Chairman ai??i?? whose tenure at the club does not exceed McCarthyai??i? ?s – did not even speak face-to-face with the former manager. Worse still, a replacement wasnai??i? ?t even lined up; but in today’s world, if a replacement had been lined up, it wouldai??i? ?ve been termed ai?? ?going behind the back of the current managerai??i??. There is no doubt that players played their part in McCarthyai??i? ?s exit, but such dismal performances over a period of time suggests the manager was unlikely to bring any change out of them. When Wolves signed Roger Johnson for A?7m, which is a massive investment for this club, from bitter Midlands rivals Birmingham City and McCarthy made him his captain, it was supposed to lead to defensive solidity. Instead, Wolvesai??i?? last clean sheet came back in August and theyai??i? ?ve conceded 49 goals in 25 league matches; 28 of them coming at the Molineux. Club captain Johnson has been nothing short of a Birmingham spy, with disastrous performances and incredibly poor form in the most important position for a relegation-threatened club. The Black Country Derby at the weekend witnessed, perhaps, one of the worst defensive performances seen at the Molineux in many years. Even a school boy would be ashamed of what went on, on Sunday. The scoreline read 1-5, but it could and should have contained a number in double digits. There was no semblance of organization in the Wolves defence right from the first few seconds, when the Baggies should have scored, up till the last few seconds that decided McCarthyai??i? ?s fate. Mick McCarthyai??i? ?s team survived last season by the skin of their teeth; Huntai??i? ?s late goal on the last day being the difference. His team survived the previous season with a 15th place finish. However, all his teams were based on a good defensive line and once that crumbled, it was time to go. Wolves may be indebted to him, but Mickai??i? ?s record shows a win percentage of only 19.6% in the top flight – even lower than Steve Keanai??i? ?s thus far. Steve Morganai??i? ?s decision has been a huge gamble on two accounts. First, it has come with only 3 months of the season to go. Second, there hasnai??i? ?t been any manager lined up to replace him. This also suggests that Morgan was convinced that McCarthy wouldnai??i? ?t have taken Wolves forward. The likes of Alan Curbishley and Steve Bruce are reportedly being lined up, but would they have enough time to keep Wolves in the top flight? This is why Blackburn – along with Bolton and Wigan – could possibly be at an advantage. Dave Whelan’s faith in Roberto Martinez has paid off time and again and Blackburn are following the same ideology.Ai? ?The Venkys lack of activity could ironically prove to be a bonus if Wolves donai??i? ?t find a manager soon, or donai??i? ?t find a manager that could gel with the players soon. The proverbial ball was sitting quietly on the net in a five-way affair, but Wolves and QPR have decided to play it. The ball wasnai??i? ?t in their court, but theyai??i? ?ve decided to gamble. This gamble means the battle for relegation now comes down to the freshness of new managers versus the longevity of the rest. You can win by hitting winners, or concede through unforced errors. Which one has Wolves and QPR managed to do? Click here to read the previous edition of ‘Premier League Compass’Ai?? McCarthy had to go as the damage done to the club last weekend was far, far worse than a mere 5:1 abject performance at home. In the proper context it was nothing less than the worst performance and defeat in my lifetime, possibly of all time. The healing process for this gaping wound had to begin with his dismissal. Relegation from your “premier” league, while obviously not desireable is not as important as being able to move on as a united club after last Sunday. When was Steve Bruce sacked? The game before Sunderland played us. Result? Rovers on top, dropped too deep during fierce Sunderland fightback. Sunderland win, Rovers drop 3 points. You forget that Sunderland were ‘down there’ until the board replaced Bruce. We don’t actually have a ‘Board’ – this is true, read the Independent from a couple of Friday’s back. Personally I feel Kean’s doing okay for someone who has nothing to lose working for a ‘family run business’ the members of whom live many thousands of miles away. John Williams who steered the club so successfully for so long is now doing a good job at Manchester City. Hughes hasn’t yet managed to set the fire under QPR but we saw how good he was here as a player and then as manager. He will turn it around. That leaves us with Bolton, Wigan and possibly Wolves. I don’t think Wolves can work harder so it will be interesting to see what happens there. We actually play some god football when we are allowed to attack but we suffer (as do many similar clubs) when asked to win at home since most clubs just set up to catch us on the break, which they do (defence is the back four only), then shut up shop, which we can’t break down due to the absence of a creative midfield. But we do score lots of goals in the right conditions. Point is… Sunderland were there as well.